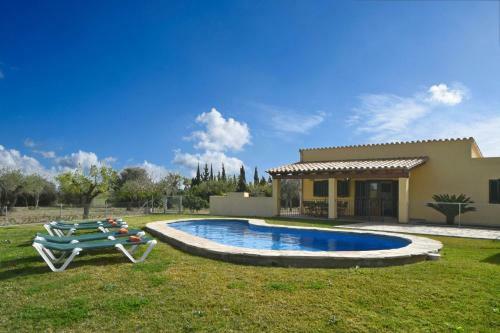 Pou den Brux in Alcúdia is a villa with 1 room. 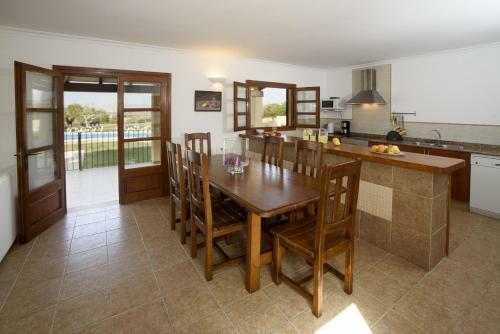 Featuring a private pool with sun loungers, built-in BBQ, and covered dining terrace, Pou den Brux is located between Port d'Alcudia and Port de Pollença in the Mallorcan countryside. 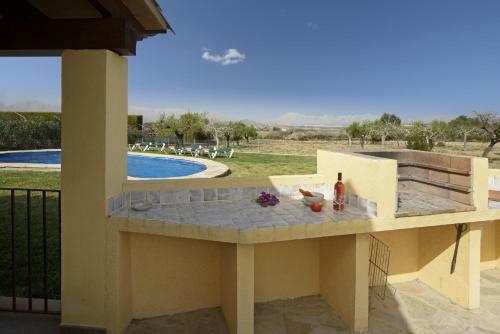 This charming villa has 1 double bedroom with ensuite shower room, 2 twin bedrooms with air conditioning, and 1 additional bathroom with shower. The open-plan kitchen is equipped with a breakfast bar and includes a microwave, dishwasher and washing machine. 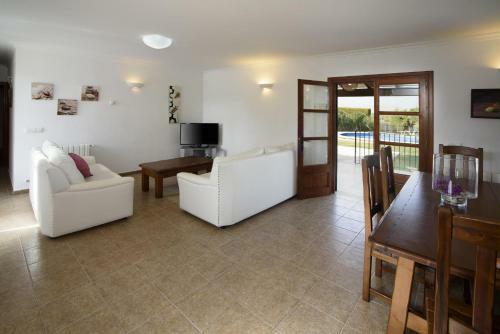 The living room has sofas and a flat-screen TV, and French... doors lead out onto the furnished terrace. You can drive to Port d'Alcudia in 10 minutes, where there are restaurants, supermarkets and bars. 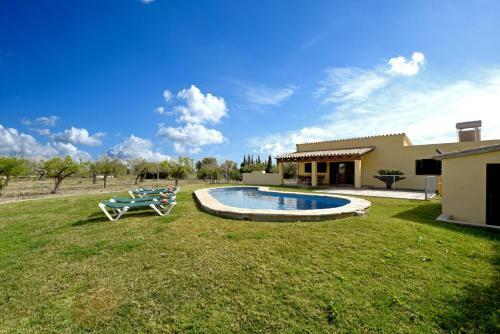 Pou den Brux is 7.2 km from Pollença Golf Course, and Hidropark Alcudia Water Park is 4.1 km away. You can drive to Palma-Mallorca Airport in 40 minutes. 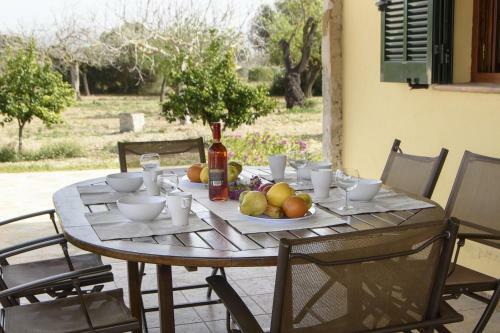 Featuring a private pool with sun loungers, built-in BBQ, and covered dining terrace, Pou den Brux is located between Port d'Alcudia and Port de Polle...nça in the Mallorcan countryside. 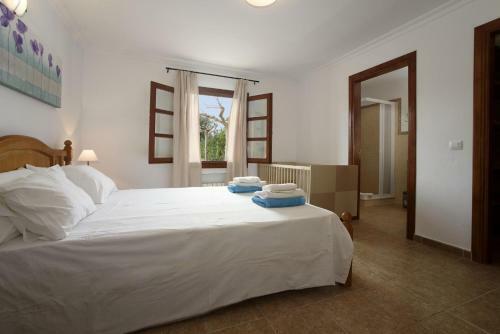 This charming villa has 1 double bedroom with ensuite shower room, 2 twin bedrooms with air conditioning, and 1 additional bathroom with shower. 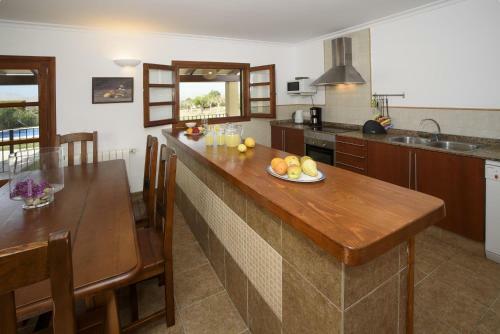 The open-plan kitchen is equipped with a breakfast bar and includes a microwave, dishwasher and washing machine. The living room has sofas and a flat-screen TV, and French doors lead out onto the furnished terrace. You can drive to Port d'Alcudia in 10 minutes, where there are restaurants, supermarkets and bars. 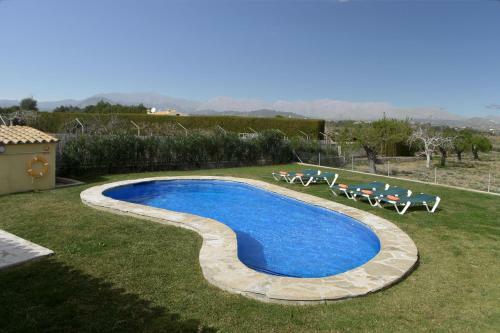 Pou den Brux is 7.2 km from Pollença Golf Course, and Hidropark Alcudia Water Park is 4.1 km away. You can drive to Palma-Mallorca Airport in 40 minutes. Please inform Pou den Brux in advance of your expected arrival time. You can use the Special Requests box when booking, or contact the property directly with the contact details provided in your confirmation. This property will not accommodate hen, stag or similar parties. Please note that key collection takes places at the property. The property owner will contact you with more details once the reservation is confirmed. Towels are included and are changed every 4 days. Bed linen is included and is changed every 7 days.